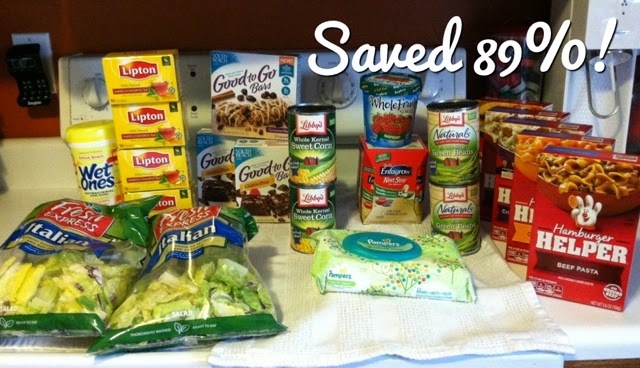 Weekly Totals - Publix - Saved 89%! Anyways here is what I got. Please remember between the two stores I go they double coupons, do half price BOGO, & accept Target/Ingles/Kroger as competitors. = $2.99 or $1.50 each! = $1.38 or $0.35 EACH! OOP = $5.69 (including tax) - Should have been $1.31, including tax. Going through my receipt I see I got the wrong SBD bars on sale and my Libby's coupon didn't come off because I think I got the wrong ones for it so I should have saved more. I was wondering why my total was so high. This is why you should get everything in order & not get distracted at check-out. I don't know if I'm going to bother going back. I'm just so bummed I didn't pay attention better. :( Live & Learn, I guess. Although I should have known better. What would you do? Would you go back and get a refund with two kids in tow? Great blog Diana. I'm going to send you an email this week about a baby topic I'm researching.